How to avoid disaster during a deposition is the topic of this week’s article and it is intended to help the less experienced witnesses, attorneys and court reporters in the legal field. As a court reporter, we are often lost in the background or forgotten about, so it is not uncommon for a witness or attorney to speak where they can be heard clearly by the court reporter. Speak up and remember that no matter how clever your questions are they will, in fact, end up as “inaudible” in the transcript. Court reporters are at times reluctant to interrupt the proceedings to ask an attorney or a witness to increase the volume of their voice more than once. The last thing a court reporter wants is to interrupt an attorney’s train of thought; however, it is our job above all to preserve the record, so remember, if you want it in the record, speak clearly and speak loud enough for everyone to hear you. When put on the spot and asked to read from a specific written document, sometimes people can end up flying through it and mumbling or jamming their words together. Our advice is to take a breath and enunciate when reading a written document. Another way to assist your court reporter is to provide a copy of any written documents that someone will read out loud so they can later check their notes in comparison. I think every profession may have their own personal words and lingo for special terms specific to their field, but court reporters are not aware of all terms used by expert witnesses or attorneys in large or complicated medical malpractice cases and can get thrown off because of this. We thank you for reading our article this week, and remember, if you are in need of highly skilled court reporters in Phoenix, AZ, call us today or schedule directly from our website. A successful deposition has many important contributing factors. This article is intended to inform our audience of a few tips to get you started on your path to victory. It’s a no-brainer that lying when under oath is the quickest way to destroy your case. Even exaggerating, downplaying or guessing can be a huge threat to your side winning the day. A skilled attorney can weave around the truth but a lie can destroy your credibility on every aspect of your case. Even if you are nervous or are having trouble recalling the answer to a question, tell the truth! A successful deposition can be a useful tool when gauging what kind of a witness you are going to have on the stand. Attorneys often read what kind of a witness the jury will see you as at this time. Be aware that if you are defensive and anger easily, the jury is not likely to side in your favor nor take you at your word when testifying. Being kind, honest and polite goes a long way in your favor, so remember, the more they like you, the better chance you will have a favorable outcome. Being recorded and asked questions under oath can bring about a serious case of nerves. Don’t answer any questions if you are not sure of the answer and don’t answer questions you are not qualified to answer. These tactics are used to weaken the credibility of a witness. If they can get you stumbling on your words or upset, the less likely you will appear to be telling the truth. There are many psychological elements at play during a deposition, so anything you are not well versed on, go over again with your attorney. Remember, the more prepared you are the less likely they are to successfully discredit your testimony. 6 life hacks attorneys can use are useful tips and tricks to improve the efficiency of daily tasks at work. We know the busy day in the life of attorneys can be stressful and daunting, so we came up with this blog to help lighten the load and save a little time. 1. Take advantage of Google Voice to be your electronic receptionist. Google Voice is a free Internet-based calling service. It is a wonderful supplement to your existing landline or mobile phone. One of the most popular features is being able to give out one number to clients that will ring to all of your phones (work, home and mobile), or none at all, depending on when you set your time of availability. This makes it much easier to quickly return calls to prospective new clients or anyone that needs to contact you that requires speedy response. Google Voice has several other useful features, like an online voicemail account that sends transcriptions of voice messages to your Gmail account, conference calling, free SMS to email messages and so much more. 2. Set your clocks everywhere 10 minutes fast. This one is a common sense, no-brainer we really don’t have to elaborate on. Get up early, out the door early, arrive early and you just may find time to catch your breath somewhere in the day. 3. Adequate case management software. SaasCase.com, for example, offers numerous benefits that will drastically increase your productivity. Included in its features are, case-to-case scrolling, easy collaboration with colleagues, fast case opening, quick tracking of case progress and much more. 4. Upload important documents to your cloud storage. Whether you use Google Drive or Apple’s iCloud, having your passport size photos, birth certificates, and signatures in one place makes it easy to access anyplace, any time. 5. Tackle your most challenging task at the beginning of your day. At the beginning of the day we are an unstoppable force to be reckoned with but by the end of the day you don’t want or need any extra energy-draining challenges. Like read 6 life hacks for attorneys, a little yoga or meditation even, the point being, do something that you want to do, not just what is required of you in the day. We hope you enjoyed our useful tips and return to read next week’s blog. If you are looking for outstanding Phoenix court reporters, then please visit our website. Featured on the Remote Counsel webpage you will find the user friendly free videoconferencing room locator. There are two ways to search. You may enter the city, state or Zip in to the search bar then adjust the range of distance within 10-100 miles. Then there is also the option to browse their database. This is also where you can reserve and book the room of your choice. You can also check the video feeds of any one of their certified videoconference rooms from their website. Live video steaming and text from any device. Security- All connections are encrypted and guaranteed secure. Availability- View or participate in any deposition live from anyplace in the world. Scheduling– Easy access to the online scheduling service found on their website seven days a week and 24 hours a day. You can also call the number provided and speak with a concierge scheduling team member to schedule and coordinate your events for you. They will also include end user testing and event day monitoring. Case Management– Manage all depositions for your case and get notification when the court reporter connects and disconnects. Simple setup– From any CAT Software court reporters can stream. It is built into the most popular CAT software, CaseCatalyst and you are two steps away from complete setup. Text– Stay up to speed with Remote Realtime, while working in your browser using search and annotation. Compatible with all software you can output to any text viewer software live, such as LiveNote, Summation or Trial Director. Exemplary support – The platform they have made is backed with premier support and top-notch customer care by trained technicians available throughout the day whenever they are needed. You can find the full list of features visit www.remotecounsel.com. If you are looking for the very best in Phoenix court reporters, then look no further than Phoenix Deposition Services. 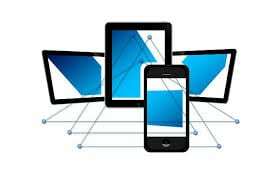 LiveLitigation is a multi-platform, web-based litigation solution. It is a revolutionary tool used by attorneys to prepare for and attend depositions, arbitrations, trials and meditations. Attending attorneys can be there either remotely or in person, which brings a new level of flexibility to attorneys on the go. LiveLitigation is the only true universal product on the market that works on any Mac, PC, iPad, Android-enabled smartphone and tablet, and the Kindle Fire. Attorneys find that there is no need for multiple software vendors using this innovative tool. LiveLitigation is a MegaMeeting.com company. Since 2003, MegaMeeting.com has been a provider of 100% browser-based web & video conferencing solutions, complete with real time audio and video capabilities. Being browser based and working on all major operating systems, Windows, Mac & Linux, MegaMeeting.com provides universal access without the need to download, install or configure software. 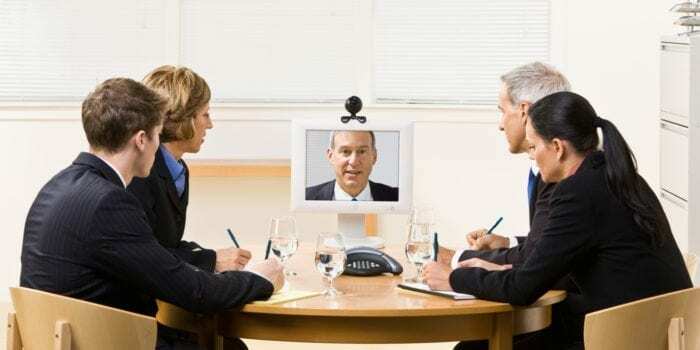 MegaMeeting.com web conferencing products and services include powerful collaboration tools that accommodate robust video & web conferences, including advanced features, such as desktop/application sharing, i.e. Word and Excel documents and PowerPoint presentations, without the need to upload any files. MegaMeeting is ideal for multi-location web-based meetings, virtual classrooms, employee trainings, product demonstrations, company orientation, customer support, product launches and much more. These are a few of the the features they also bring to the table. Broadcast witness video into the online litigation room using any standard web camera. No bulky external components are required. 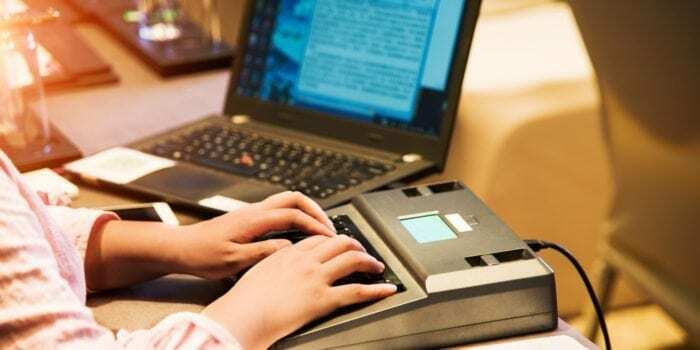 Realtime data is fed directly into the online litigation room by connecting the court reporters CAT software to the RemoteRealtime product through their StenoDirectPlus software. Transmit live audio using built-in VoIP or Toll-free Conferencing. Members within a group can privately chat with each other without anyone else seeing the text. Each attendee is assigned a 12 digit key that they must use when using LiveLitigation for an online litigation event. This key cannot be forwarded or shared with anyone. Our information was provided by LiveLitigation.com. If you are looking for quality court reporting in Phoenix, AZ then look no further than Phoenix Deposition Services. Phoenix court reporters are a far different breed than your average court reporters. At Phoenix Deposition Services you will never have to question the quality of our work. Some attorneys may find themselves wondering if the court reporting firm they have used previously will continue with the same standard of quality they are expecting. They send less experienced court reporters as time goes on and as the relationship matures. Our Phoenix court reporters will never lower our expectations to continue producing the same top-notch, meticulous work we deliver on a daily basis. Our turnaround time not only meets but exceeds the expectations of our clients and we take great pride in that. When you travel to Phoenix we extend the use of our conference rooms at no cost. They are conveniently located just minutes away from Phoenix Sky Harbor International Airport; however, we have options available that save not only time but money as well eliminating the need for costly travel, such as video conferencing and video depositions. We only work with the very best and highly regarded within their craft. Our videographers have state-of-the-art equipment and the experience with technology to ensure flawlessly crisp videos every time. We also specialize in medical malpractice. It requires years of experience to achieve the necessary skills to transcribe verbatim testimony from healthcare professionals . To understand and accurately translate abbreviations and medical jargon into a meticulous transcript is not an easily earned achievement. 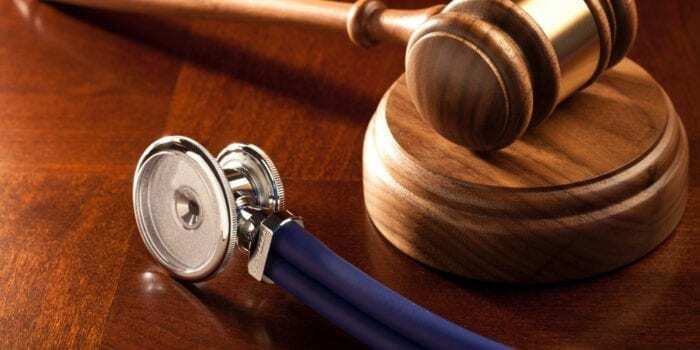 The importance of exactness in your medical malpractice case is our top priority. You can trust in our court reporters to produce an impressive deposition with correct medical terminology and the efficiency necessary for your case. We will meet our deadlines and have transcripts when you need them. If you would like to know more about us, please stop by and like our Facebook page. Court reporters using Zoom video conferencing software create a visual record of the deposition testimony beyond typical written transcripts. They are often the key point of change in trial or settlement of a case. That is why I recommend Zoom for court reporters. Court reporters using Zoom tips. Keep your mic on if you plan to speak. Don’t take your mic off when you finish your line of questioning. If you do, the court reporter and videographer may not accurately capture your comments, objections or questions. Videographers using Zoom make every attempt to not record sidebar conversations, but the safest bet is cover your mic when saying something that you don’t want to be included in the record. 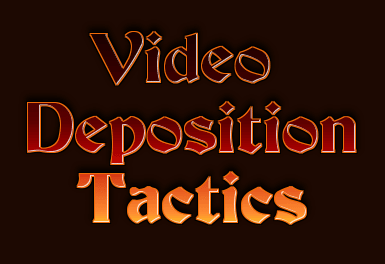 Before the deposition actually starts, ask your videographer to show how he or she framed the witness. If you don’t like something about the shot, ask your videographer to alter the framing before starting the deposition. 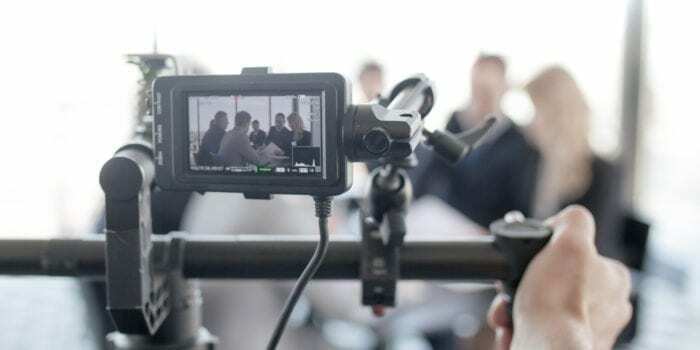 Just as it is hard for a court reporter to capture everything correctly when multiple participants speak at once, videos can also become confusing when there are many voices speaking at the same time. Another reason to take turns speaking is to get your video deposition back sooner. Videos will take longer to edit if multiple people are speaking over each other. Video depositions present the opportunity for attorneys to better convey witness testimony in either trial or settlement settings. For more tips on conducting depositions, check out our previous blog post on witness preparation tips. Come visit our facebook page to find out more about Phoenix court reporters and what we offer at Phoenix Deposition Services.